For those interested in the Midland Railway; its predecessors, successors, joint lines and working arrangements. Incorporating the Roy F. Burrows Collection. We are a society and charity of over 400 members whose interests cover all aspects of the Midland Railway. Members receive a high quality Journal three times a year and a newsletter four times a year. There are events throughout the year where members can socialize and learn more about the Midland Railway. 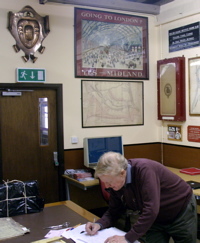 We also help run the Midland Railway Study Centre and publish books and pamphlets on historical aspects of the Midland Railway. 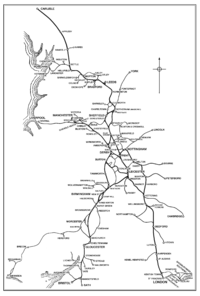 Members also get exclusive access to high resolution scans of selected maps and plans from the Society’s archive collection through the Midland Railway Study Centre web site. A well researched book details the history of the Midland’s alternative route to Nottingham from Kettering via Oakham and Melton Mowbray. 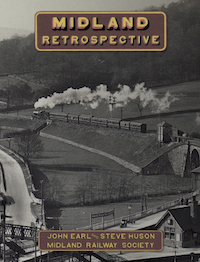 Our illustrated Journal is published three times a year and includes articles on all aspects of the Midland Railway. We hold regular meetings and tours throughout the year. Meeting’s will feature a talk on an aspect of the Midland Railway and give members a chance to socialise and purchase books from our bookstall. Our modelling co-ordinator has created a set of spreadsheets detailing products available for modellers of the Midland Railway. “A high quality publication that certainly meets the authors’ wishes of producing a volume that is different to most railway books and consequently one that stands out from the crowd.” — Railway Magazine, October 2017. 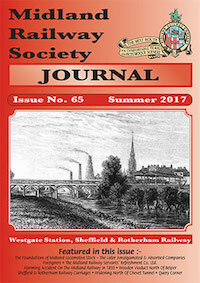 Read a select of online essays and short articles written by Society members and others on various aspects of the Midland Railway. We have created a couple of online photo galleries featuring Midland Railway stations and locomotives from photographs in the Society collections. The Derby Registers held at the National Railway Museum list many of the photographs taken by the official Midland Railway photographers and their successors in the LMS and British Railways.